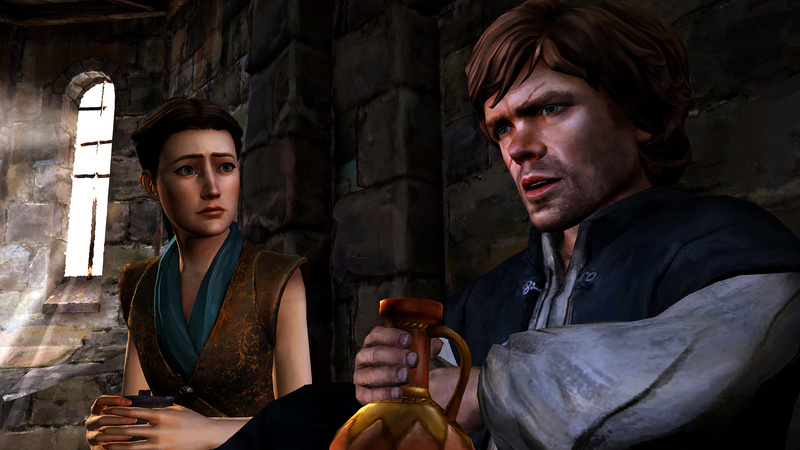 When Telltale’s Game of Thrones launched at the end of 2014, many long-term fans of the series thought that House Forrester was merely a fabrication of the game studio – but there was more to it than that. Here, the Forresters are referred to as a clan, implying that they’re a minor house in The North. However, they have a rich and undying history. Under Ser Gregor Forrester, Ironrath followed the Young Wolf during the Northern Rebellion that was qualmed at the Red Wedding. It’s actually remarked that Gregor’s men rode alongside Robb in the vanguard during his assaults, which testifies to their prowess as warriors. Years prior to this, Gregor lost his father during the Battle of the Trident after Ned Stark personally called for House Forrester’s assistance during Robert’s Rebellion. Why is any of this important? Well, it shows that even minor Westerosi houses are significant in their own right. And that’s why Telltale’s Game of Thrones is an essential part of the universe’s extended media, regardless of whether or not its story is ever addressed by the series or books. The climactic end of the game series culminates in the fall of Ironrath, but perhaps more importantly refers to the mysterious North Grove. Apparently immortalized in northern fairy tales, this forest-within-a-forest is illustriously described as a place where children become giants, or where the Children of the Forest hide from the watchful gaze of cruel men. However, this fabled haven has never been referred to outside of the game. When speaking with Jon Snow in-game, Gared Tuttle – one of several characters you can control – mentions the North Grove, after which Jon mentions the tales Old Nan told him as a child. Even House Stark was familiar with the mystical and elusive grove, but Jon had dismissed these stories as emphatically being old wives’ tales. 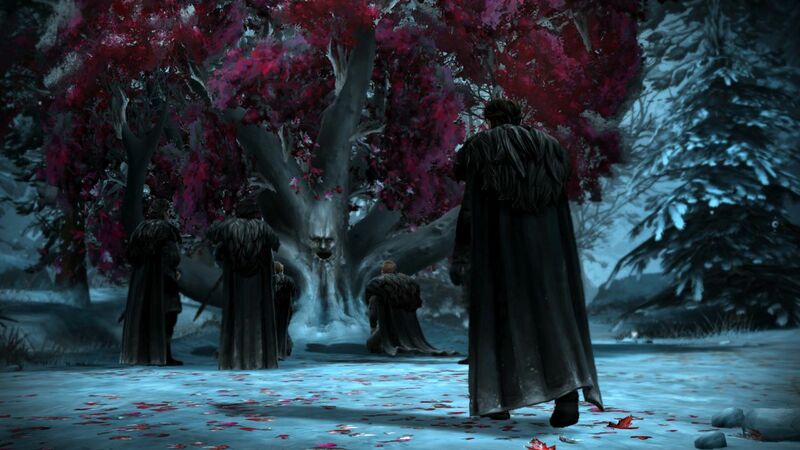 It’s unlikely that the North Grove will have any meaningful part to play in the series or books, although many fans seem to think that Jon is actually saying goodbye to Ygritte beneath a North Grove Weirwood Tree in the Season 8 trailer. Either way, whether it’s referred to or not, the important thing here is that there are smaller battles going on at the same time as the magnanimous ones championed by the show. For every Battle of the Bastards, there’s a scrappy rebellion, or a secret expedition north to locate a mythical forest blessed with divine powers. This feeds directly into all the other minor details the game provides us with. Take Mira Forrester, daughter of Gregor and handmaiden to Margaery Tyrell. In King’s Landing, she becomes acquainted with the high society weapons of espionage and subterfuge. She forges letters with Margaery’s seal, secures craftily secret deals with Tyrion Lannister himself, and works alongside a coal boy from Fleabottom to help undercut trades for Ironwood that would leave her family indebted to the odious Ludd Whitehill. Towards the end, Mira loses Lady Margaery’s favour after the latter becomes suspicious of her snooping around. Mira is then called by Cersei Lannister, who asks her to find out who will be testifying for Tyrion at his trial. When Mira visits him, Tyrion immediately knows why she’s there. It’s a minor detail, but it adds to his character in a major way. Even as he’s sat there awaiting an execution orchestrated by his own father and sister, he’s willing to cooperate if Mira is honest about her intentions. If not, he’ll merely be disappointed and ask that she leave him be. Shortly afterwards, Mira is imprisoned and subsequently visited by Lord Rickard Morgryn, who asks for her hand in marriage. In typical Game of Thrones fashion, a benevolent character is forced to either betray their morals and sell out their friends – in this case, Tom the coal boy – or submit to their inevitable execution. The only difference here is that the choice is in the hands of the player. Alongside the cameos made by Tyrion and Cersei are notable appearances by several other major characters. Ramsay Snow, still alive during the events of Telltale’s Game of Thrones, actually shows up at Ironrath after being called on by Ludd Whitehill. Here, he announces that he doesn’t care much for who gets the majority of the Ironwood forest and proclaims that Houses Forrester and Whitehill fight to the death for his entertainment. Ramsay also stabs Ethan Forrester, barely a teenager at the time, and orders that Ryon, the youngest of the Forrester children, become a hostage of House Whitehill. This resonates with his abduction of Rickon Stark, and implies that Ramsay took far more prisoners than the show would suggest. On his return to Ironrath, Ramsay tells the returned firstborn Rodrik that he has heard talk of him being unbreakable. Naturally, this piqued his curiosity. Before leaving this time around, Ramsay flays Arthur Glenmore, brother to Rodrik’s betrothed, and murders several residents of Ironrath. Even outside of his demonstrations of brutality in the show, Ramsay wreaked destruction across the entire North on a daily basis. Daenerys Targaryen also appears in the series. At this point in time, she is planning her siege of Meereen. The writing here is exceptionally clever, as the guerrilla force that instigated combat on her side is actually led by a major character in the game. This is overlooked in the show, getting little more than a few seconds of screen time, but in Telltale’s GoT, you’re Asher Forrester, exiled son of the Lord of Ironrath. Together with your friend Beshka and a group of mercenaries, you storm Meereen in a surprise attack, opening the gates for Daenerys’ army to take the city. Along the way, you’ll see Beshka, a former slave, wrestle with her emotions when she pins down her old master. As with most Telltale games, here you can kill him, let Beshka kill him herself, or encourage her not to go ahead with it. 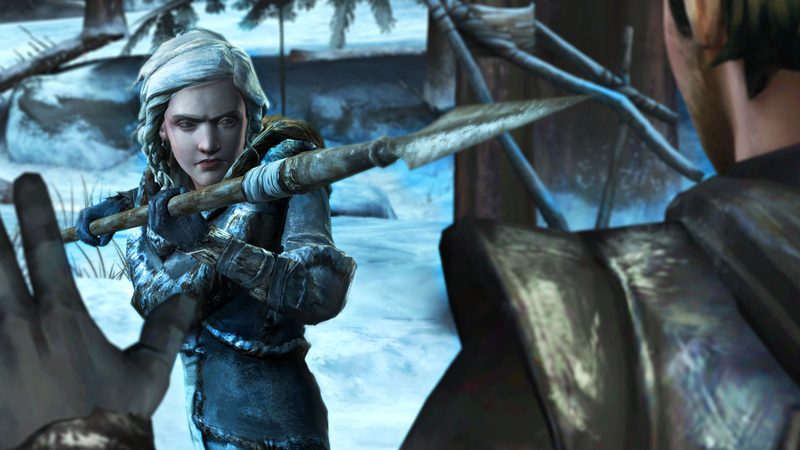 No choice is ideal, but that reflects the nature of Game of Thrones perfectly, which is perhaps why the stories were so well-attuned to the Telltale model in the first place: when you play the game of thrones, you win or you die. Even if Telltale’s Game of Thrones goes overlooked as the series and books resolve themselves in due course, its magnification of the minor politics that dictate even the most insignificant parts of Westeros allows us to understand the world a whole lot better. It’s a shame that the grandiose North Grove payoff and plight of the broken Forresters may never get the narrative closure they deserve, but neither do any of the other untold microcosmic tales of Game of Thrones. For every joining of noble houses, a cowhand kills a soldier to avenge his fallen family. For every high society murder, a pair of lovers from rival families meet in the Wolfswood to plan their escape. And for every major battle, a new and secret haven is found, destined to be protected lest it be swallowed by the fall of the world around it.